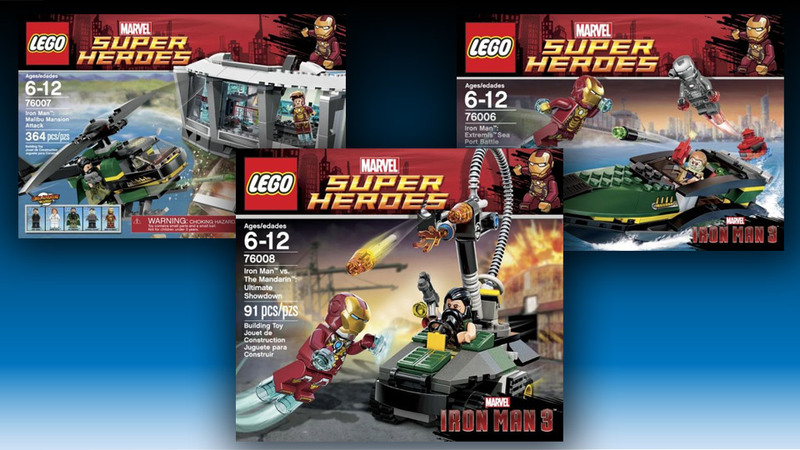 With the upcoming release of Iron Man 3 in theaters on May 3, 2013, LEGO is bringing out three new LEGO sets featuring heroes and villains from the new film. The sets are Extremis Sea Port Battle, Malibu Mansion Attack, and Iron Man vs. The Mandarin: Ultimate Showdown. They are expected to be on sale in April, so you can construct your own scenes before you even know what happens in the movie, although we already saw Mandarin demolishing Tony’s Malibu Mansion in the official trailer. Let’s hope Malibu Barbie wasn’t hurt in the ruckus.